You may have heard this piece of dieting advice before: eat smaller meals for a while, and your stomach will shrink. Is it true? 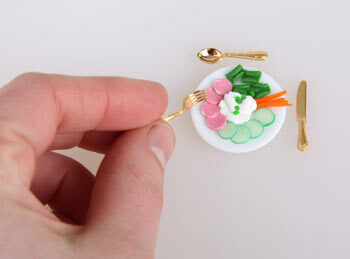 If you make a habit of eating small meals for a few weeks, will your stomach get smaller, helping you lose weight? We decided to see if we could find out the truth behind this dieting legend. The stomach of most adults is about the same size, whether the person is underweight, overweight, or obese. An average person's stomach can hold about one liter of liquid. However, the stomach can stretch to accommodate more food and liquid when you eat a meal, and that "stretch-ability" can differ among people. In scientific language, this is known as dispensibility, or the ability of the stomach to distend and hold more volume. Stomach dispensibility is the reason that people say that your stomach will shrink if you start eating smaller meals routinely. A study was done on 23 obese patients to test how eating a restricted diet for four weeks affected the capacity of the stomach. The patients were divided into 2 groups, and their stomach capacities were tested prior to and 4 weeks into the study. One group of patients was given a restricted diet for that 4 weeks while the other group ate normally. At the end of the 4 weeks, the patients who had eaten smaller meals had significantly less gastric capacity than they had before they started while those who ate how they wanted did not experience a difference (Geliebter A1, 1996). So, while it doesn't appear to be the case that a person's stomach will actually shrink if they make a habit of eating smaller meals, it can become less dipensible, or stretchy. This is due to changes in the nerves of the stomach that affect its ability to relax. When smaller meals are eaten for about 6 weeks in a row, the stomach becomes less stretchy. That means that you will feel full sooner, and that could decrease your overall calorie consumption. When you eat large meals with lots of calories, your blood sugar increases. Your body produces an abundance of insulin to break down those sugars, and it can overcompensate, resulting in low blood sugar. This hypoglycemia causes your body to produce hunger sensations so you'll eat more to get your blood glucose levels re-stabilized. This can become a vicious cycle of overeating that has nothing to do with your stomach size. Eating smaller meals more often can eliminate these wide blood sugar swings that can lead to more overeating and, eventually, even to diabetes. Can Eating Smaller Meals Help You Lose Weight? Experts aren't sure whether eating smaller meals can be directly connected with greater weight loss. However, because it can decrease your stomach's dispensibility and increase feelings of fullness, it may help you take in fewer calories and jump-start weight loss. It's also a healthier way to eat because of the blood sugar and insulin cycle described above. If you want to feel fuller so you don't overeat, there are a couple of things you can do along with eating smaller meals. Eat slowly. The hormonal signals that your body uses to tell your brain you are full don't happen immediately when food hits your stomach. In fact, can take up to 20 minutes for it to happen. If you are eating fast, you may overeat before these signals catch up to inform you that you're full. Eat fiber, lean protein, and healthy fat with each meal. Protein, fiber, and healthy fat work together to keep you feeling full longer than eating simple carbohydrates or sugary treats do. Vegetables usually contain high amounts of fiber. Lean proteins like chicken, eggs, or tuna mixed with a healthy fat like avocado can leave you feeling satisfied. This quick meal is an example of a small, healthily-balanced meal: "Tuna-Stuffed Avocado." Consider a Garcinia cambogia supplement. 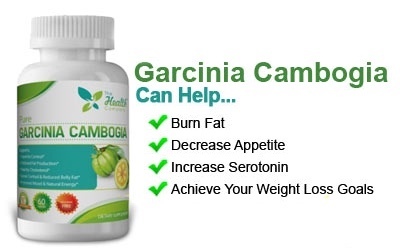 Garcinia cambogia can help reduce cravings for sugary and carb-laden foods. It can also help raise serotonin levels in your body, elevating your mood and decreasing the overeating that sometimes comes with sadness. This supplement, Garcinia cambogia Super Citrimax, is made without fillers, binders, or artificial ingredients that may be unhealthy.